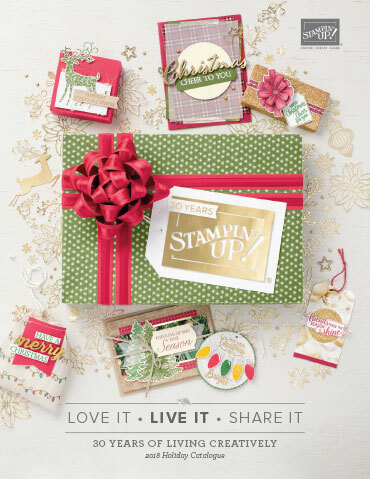 Now I actually made two calendars, a box and a Christmas card and all the supplies were from the Christmas Cheer Simply Scrappin' kit. but I can't show you the completed items till after Saturday. Just a reminder that the Retired List will be out on Monday and this kit will be on the list so it will only be available until 31st August or while stocks last. Pop back on Monday to see the full list and if you want anything on there you had better be fast and email me as products on the list are only available while stocks last. 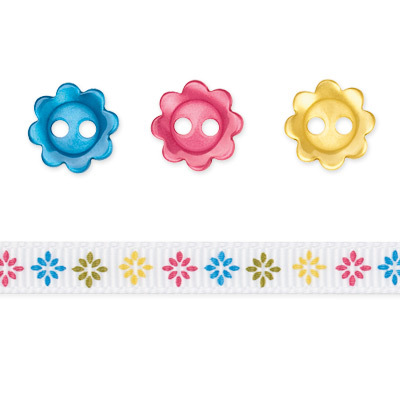 Also if you want anything from the current mini then you only have until Sunday morning to place an order with me. I've been absent for awhile AGAIN but after Greg's 60th I was busy working on my Christmas in July class. I will post photos of the projects next week but in the meantime here is the card that I made for Greg. Don't you thinnk it's appropriate seeing that we went to the Margaret River Wine Region in WA for his birthday. The wine bottle was found on the internet and the papers I have had some time and the 60th diecut I purchased at a Craft Show last year.The only stamping is from a clear stamp that I found in my stash and you can see it on the personalised wine label, over the '60' and down the side of the card. 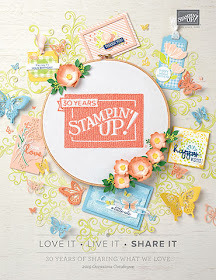 Yay ... it's time for another fabulous Stampin' Up! 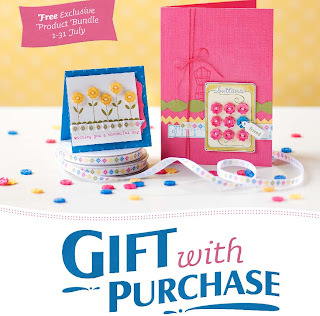 Promotion and this one is a gift with purchase promotion. 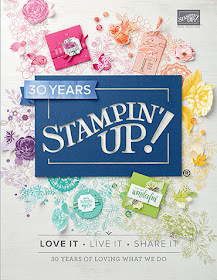 Spend $100 and receive an exclusive product bundle valued at $31.95! 48 flower buttons -16 each of 3 colours (Daffodil Delight, Melon Mambo and Pacific Point) measuring pproximately 1/2″ (1.3 cm). Gotta love the colours, aren't they gorgeous. 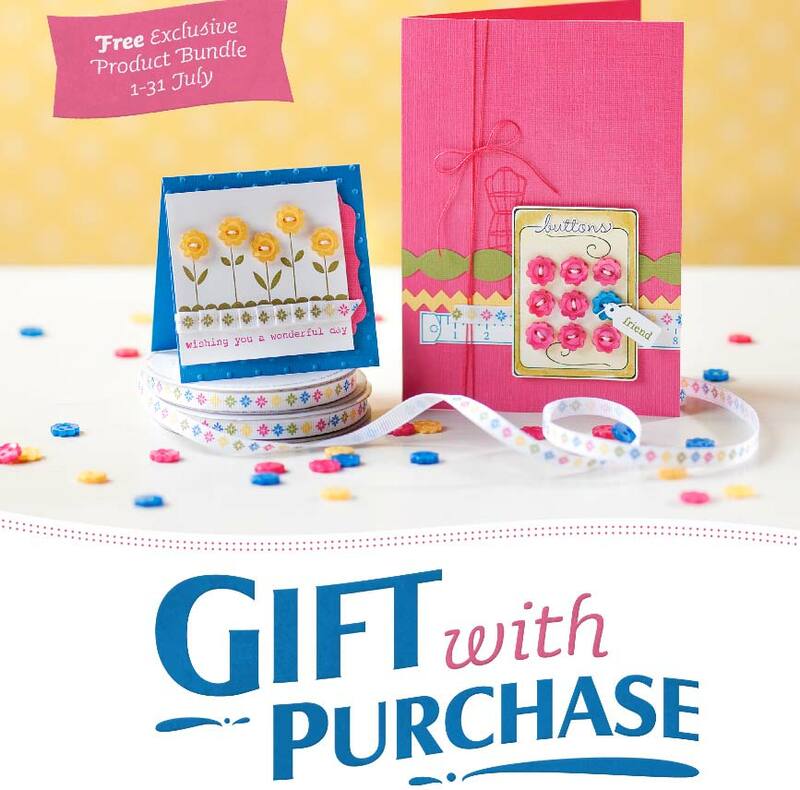 All you have to do is place $100.00 order with me to earn your gift with purchase.